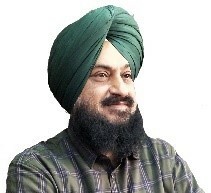 Dr. Harmanjit Singh Banga, joined as University Librarian. He is a recipient of Commonwealth Scholarship for pursuing his PhD at University of Guelph, Ontario, Canada. Dr. Banga has an excellent academic record as he had been a meritorious student with many honours like the prestigious Dr. A S Atwal Gold Medal for M.V.Sc, Jawaharlal Nehru Trust Award etc. He is the Principal Investigator of one scheme and Co-PI of 2 schemes. He has to his credit 148 research publications out of which 28 are of International repute. He has guided 10 post-graduate students including 03 PhD students. He also contributed chapters in Veterinary Pathology books, prepared practical manuals. He has earlier served as HOD and it was during his tenure that department bagged Centre of Advanced Faculty Training (CAFT).